Actually, outrage upon outrage upon outrage. What a day. Let’s start with the coalition formation and Lapid. With all of the concessions Netanyahu had made for him, it was not enough. Lapid wanted Rabbi Shai Piron, second on the Yesh Atid list, to be Minister of Education and Netanyahu wanted Gideon Sa’ar to retain that position. 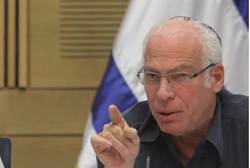 Netanyahu was concerned that the yeshivas, which are under the umbrella of the ministry, would not get a fair shake from Yesh Atid; to that end, Bennett, whose party, it seems likely, will control Ministry of Religious Affairs, petitioned for the yeshiva budgets to be moved to its jurisdiction. Meanwhile, Lapid was going on about how the future of the country depended on control of the Ministry of Education. He’s not wrong, and that’s just what I’m worried about. What future for the country does this arrogant man have in mind? Oh, and we should not forget that he had promised Rabbi Piron that, if he joined the Yesh Atid list, he would be Minister of Education. Excuse me? How did he make such a promise? And so, yes, I found the situation outrageous in several particulars. The high drama went on over the course of the day. Reports went out about Netanyahu beginning negotiations with Shas, assuming that Lapid might well be out of the coalition. But guess what? Bibi DID fold. And as far as I am concerned, that too is outrageous. It seems to be his MO. Perhaps Shas was holding him up for too much, imagining the coalition would depend on them. 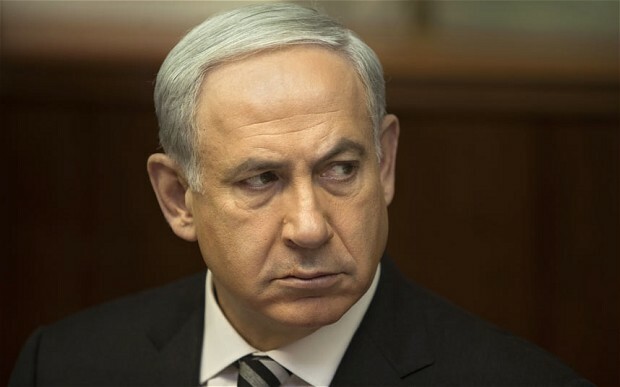 Perhaps Netanyahu was beside himself because he had no government, time was almost up, and Obama was coming. Perhaps there are compromises in other areas that are not yet clear. Perhaps. Perhaps. But dearly do I wish the prime minister had not caved before Lapid. I don’t like what I see coming down the road with him. What seems to be the case is that there will be 68 mandates in the coalition, with Mofaz not included. All agreements are not finalized yet, and so at this point there is little more to report. A government will be announced soon enough and particulars will become clear. But here’s the outrage: Robert Serry, a UN envoy, and really bad news, publicly made a statement about how regrettable this was, for it would mean more housing in Judea and Samaria and cause Israel international condemnation. Someone asked his opinion? Would he do this with any other sovereign nation? MK Ariel’s assumption is that Serry made this statement before ministry assignments were announced in hopes of reversing the situation. Obama, during his visit here, will be addressing students in the International Convention Center (Binyanei Ha’uma) in Jerusalem. Students from every university in Israel were invited, except from Ariel University. Why? Clearly because Ariel, a very fine university and fully accredited, is — shock and horrors! — over the Green Line. MK Yoni Chetboun (Habayit Hayehudi) met with students from the university, who expressed their anger, and then wrote a letter of protest to US Ambassador to Israel Dan Shapiro. If the Embassy action on behalf of the president is not reversed, Ariel students intend to go into Jerusalem and protest outside during Obama’s talk. And this, my friends, is probably the greatest outrage of all. “You can put lipstick on a pig and its still a pig” and now we see Michelle Obama doing a pole dance before an audience. 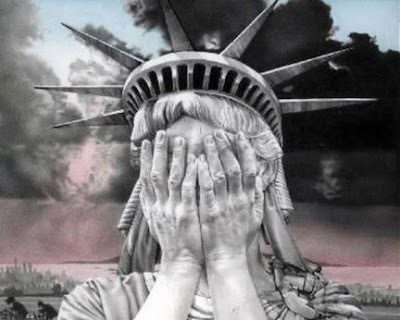 I couldn’t believe they could ever do anything more to embarrass America or insult our once great country but then I read that Michelle Obama, yes, that Obama, disgraced herself with a pole dancing routine before a public audience. Back in 2008, when we had our first chance to send this disgusting anti-American family back to the gutter where they came from, Republican Vice-presidential candidate Sarah Palin made the perfect observation about herself: “What’s the difference between a hockey mom and a pit bull? Lipstick.” Then the Democrat candidate Barack Hussein Obama made the observation (quoted on Hot Air): “You know, you can put lipstick on a pig,” Obama said, “but it’s still a pig.” The crowd rose and applauded, some of them no doubt thinking he may have been alluding to Alaska Gov. Sarah Palin’s ad lib during her vice presidential nomination acceptance speech last week, “What’s the difference between a hockey mom and a pit bull? Lipstick.” Yeah, I looked it up, some other people have used the expression to refer to used cars and the Obama health care plan, but after watching the way this so-called First Family behaves and dresses in public I get the impression that Barry Soetoro //aka// Barack Hussein Obama may have been thinking about his wife Michelle. Here is the source of the original story from the web site The Black Sphere. Look world: America’s First Lady can out-pole-dance YOUR First Lady! In what has to be the most mind-blowing picture of what NOT to do as First Lady, we have Michelle Obama entertaining the audience. You expect some ghetto chick to do something so crass, but not the First Lady. 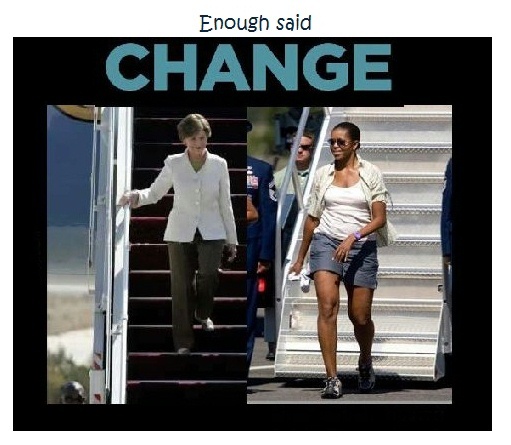 This is what class and dignity looks like compared to a Harlem streetwalker. Organization seeks to educate and train aspiring minority and veteran conservative leaders. Boca Raton, FL – Former United States Congressman and retired Lt. Colonel Allen West today announced the launch of The Allen West Foundation, a Section 501(c)(4) non-profit organization with the mission of educating and inspiring the next generation of conservative leaders within the minority and veteran communities nationwide. A government truly “of the people” must be fully representative of those it governs. Both minorities and veterans are under-represented in elected office at both the state and federal levels, and the Foundation seeks to educate and motivate members of these groups to increase their civic participation and representation in government. Host issue-based forums designed to educate participants on important public policy matters and encourage greater civic engagement. Conduct educational seminars and provide other resources for those considering becoming more engaged in their communities or running for public office. Advocate on behalf of minorities and veterans on critical issues facing their communities. For more information about The Allen West Foundation, visit www.allenwestfoundation.org. One of the ugliest weapons in the Islamic supremacist arsenal in the U.S. is Loonwatch, a site dedicated to smearing and defaming everyone who opposes the jihad agenda. The site’s authors carefully guard their anonymity, probably to guard against defamation suits from their targets. But one of their chief writers, “Garibaldi,” has recently outed himself as none other than Nathan Lean, editor-in-chief of Aslan Media and author of a book entitled “The Islamophobia Industry,” which attempts to convince Americans that concern about jihad is the result of fiendish “Islamophobes,” not of 20,000 jihad attacks since 9/11. Recently in writing about Mr. Spencer, Garibaldi wrote this in a comment on his own article about Spencer’s private life. He is not celibate, he’s married. In the course of digging on the internet, I also learned the name of his wife and children, though that isn’t really germane to the discussion so I won’t advertise it. Who else has dug on the Internet and found the names of Mr. Spencer’s wife and children? Nathan Lean. Spencer has written on Lean as well. 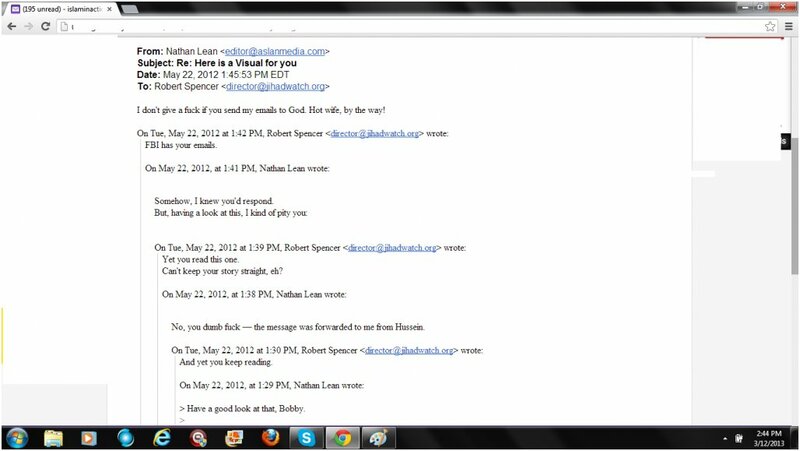 Four months after that, he sent Mr. Spencer an email calling him a “dumb f**k” and adding: “But, having a look at this, I kind of pity you,” which was followed by a link containing a photo of a woman in the same city. The woman has the same surname Spencer; apparently Lean thought she was his wife. Garibaldi wrote of Mr. Spencer in a comment. But the shaggy walrus beard and so forth indicates it’s him. I told you. I’m into women not walruses. Nathan Lean works for Aslan. Jonathan Schanzer wrote a scathing review of Lean’s book for the Wall Street Journal. Loonwatch published a petulant and defensive response piece viciously attacking Schanzer. Who wrote it? Garibaldi. Nathan Lean, psychotic stalker and hate-filled traitor to America. This week’s contest is dedicated fondly to Senators Rand Paul, Ted Cruz, Mike Lee, Marco Rubio and Ron Wyden… for remembering what it’s all about. This week, Ask Marion, Crazy Bald Guy and The Pirate’s Cove took advantage of my generous offer of link whorage and earned honorable mention status with some great articles. Simply head over to Joshuapundit and post the title and a link to the piece you want considered along with an e-mail address (which won’t be published) in the comments section no later than Monday 6 PM PST in order to be considered for our honorable mention category. Then just return the favor by creating a post on your site linking to the Watcher’s Council contest for the week. The Colossus of Rhodey – Do We Need Overseers To Make Sure We Don’t Destroy Ourselves? The Political Commentator – CPAC 2013 Has Been Cancelled! VA Right! – Sequestration Pain: Necessary Service Reductions or Obama Temper Tantrum? Gay Patriot – Why didn’t Candy (Crowley) follow up with Nancy (Pelosi)? The Mellow Jihadi – A Navy Sailor Gets His Shots! The Razor – What If The Experts Are Wrong About North Korea? The Right Planet – 1.6 Billion Rounds of Ammo? 2,700 Armored Vehicles? For Homeland Security? Can We Talk? Crazy Bald Guy – Let’s not get ahead of ourselves here. Canada Free Press – The Obama chronicles: The deceptions, the murders and continuing ObamaGov terrorism submitted by VA Right! Help KeyWiki Expose the Marxists Who Took Over Los Angeles! Socialists, quietly working in collaboration of members of the US’ largest Marxist organization Democratic Socialists of America, have effectively taken over Los Angeles. 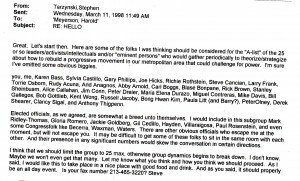 On March 11, 1998, Los Angeles Democratic Socialists of America leader Steve Tarzynski wrote an email to his Los Angeles DSA comrade Harold Meyerson. Meyerson, now a columnist with the Washington Post, was incidentally, one of the first non-Chicago journalists to introduce long time DSA ally Barack Obama to the wider American public. Some members of this group did indeed meet, through several Progressive LA conferences in 1998 and the Progressive Los Angeles Network which came out of them. Some of those listed below have also worked to deliberately expand Latino immigration into California and to massively turn out the Latino vote to turn even some of the staunchest Republican areas into permanent Democrat strongholds. Look at the names on the list above and try to tell me that these Marxists haven’t succeeded in taking over governance of one of America’s second most populous cities. Gary Phillips – Southern California Library for Social Studies and Research, once involved with the Communist Party USA spinoff, Committees of Correspondence. Larry Frank – Los Angeles City Deputy Mayor. He serves as Deputy Mayor of Neighborhood and Community Services in the Office of Mayor Antonio Villaraigosa. As a senior staff member, Frank is responsible for several city departments (the Department of Neighborhood Empowerment Community Development Department and the Bureau of Contract Administration), the Mayor’s field operations, constituent services, volunteer services, external Labor issues, workforce development and the city anti-poverty programs. A long time socialist activist with the United Farmworkers Union and the National Lawyers Guild. Torie Osborn – has served as a senior policy adviser to Los Angeles Mayor Antonio Villaraigosa on homelessness, poverty and economic development. She initiated the Mayor’s Office of Strategic Partnerships that implements joint projects between government and philanthropy. A former Democratic Party state assembly candidate and one time member of the Marxist New American Movement. Aris Anagnos – real estate magnate, donor to leftist causes, on the Los Angeles Democratic Socialists of America potential donors list in the early ’90s. Abby Arnold – a community organizer and advocate for social justice. She works as a consultant to nonprofit social service agencies and local government and has served on a wide variety of boards of directors, including the California Board of Registered Nursing, the Santa Monica Pier Restoration Commission and the Coalition for Clean Air. She has served as Executive Director of the Santa Monica AIDS Project, the Health Officers Association of California and the Santa Monica Neighborhood Support Center. She has developed programs for youth, victims of domestic violence and people living with HIV. During the first Jerry Brown administration, she worked for the California Senate Committee on Local Government and served as a consumer member of the California Board of Registered Nursing. She has been a member of Democratic Socialists of America Feminist Commission. Rick E. Brown – UCLA School of Public Health, Progressives for Obama website. Has been a member of Democratic Socialists of America. Stanley Sheinbaum – married into the Warner Brothers fortune. Funder of socialist causes, Democratic Party power broker, Progressives for Obama endorser. Has been a member of Democratic Socialists of America. Jim Conn – former mayor of Santa Monica. Has been a member of Democratic Socialists of America. 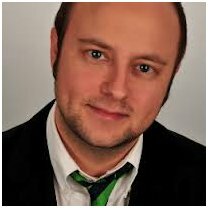 Peter Dreier – professor of politics and director of the Urban & Environmental Policy program, at Occidental College in Los Angeles. Member of Democratic Socialists of America. Heavily involved in Los Angeles political campaigns. Maria Elena Durazo – California’s most powerful labor leader. Democratic Party power broker, Obama supporter. Close affiliate of Democratic Socialists of America. Mike Davis – teaches at the University of California (Irvine). Former member of the Communist Party USA, turned Trotskyite. Bill Gallegos – Executive Director of Communities for a Better Environment, one of the leading environmental justice organizations in the country. Since becoming Executive Director at CBE, the organization has “achieved landmark regulation of oil refinery flaring (the highly toxic practice of burning off excess gases into the air), and in leading local campaigns that could have a significant impact in reducing greenhouse gases and co-pollutants, improving public health and advancing the transformation to clean alternative energy.” Currently a member of the California Environmental Justice Advisory Committee, which is advising the state on how to achieve the ambitious goals of the state’s historic greenhouse gas legislation in a way that safeguards and “improves the health and environment of low income and communities of color.” A leader of the Maoist Freedom Road Socialist Organization. Bob Gottlieb – currently working with the Investigative Journalism Project of the Community Information Project, a local public interest group in Los Angeles. One time member of the Marxist New American Movement. Kent Wong – Director of the Center for Labor Research and Education at UCLA, where he teaches Labor Studies and Asian American Studies. Key player in linking US labor unions to Chinese and Vietnamese communist unions. Close associate of LA Democratic Party Congresswoman Judy Chu. Close affiliate of Democratic Socialists of America and former member of the Maoist Communist Workers Party. Progressives for Obama endorser. Bong Hwan Kim – currently Executive Director of Pasadena Neighborhood Housing Services. Mr. Kim was the General Manager of the Department of Neighborhood Empowerment for the City of Los Angeles. DONE is an historic initiative approved by a majority of voters in a city wide election to effect the way government responds to communities by, in part, creating a system of independent Neighborhood Councils. DONE’s role is to provide education, training and other enabling support to nurture neighborhood-based leadership and civic participation. Prior to this, he served as the Executive Director of the MultiCultural Collaborative and the Korean Youth and Community Center in Los Angeles. He serves on a number of government commissions and corporate advisory boards. He currently serves on the Board of Directors of Workplace Hollywood, an organization established to diversify the entertainment industry workforce. He has served as the co-chair of the Black Korean Alliance, the California Attorney General’s Violence Prevention Policy Council and the National Immigration Forum. He has been a lecturer at the University of California Los Angeles teaching in the areas of leadership and community building. Paula Litt – a philanthropist, community activist. Has been a member of Democratic Socialists of America. Peter Olney – International Longshore and Warehouse Union, served on the advisory board of UC Berkeley Labor Center. Marxist and affiliate of Democratic Socialists of America. Derek Shearer – currently Chevalier Professor of Diplomacy and World Affairs at Occidental College in Los Angeles. He also serves as Director of Global Affairs, handling the college’s international relations and directing the expansion of its international affairs programs. Previously married to Santa Monica City Councillor Ruth Yanatta Goldway. Clancy Sigal – screenwriter and novelist in Los Angeles. Democratic Party activist and Democratic Socialists of America donors list member. Anthony Thigpenn – runs an organization in California called Strategic Concepts in Organizing and Policy Education. Thigpenn is involved in “community organizing and environmental justice, and has worked to build alliances with labor and community organizations.” Thigpenn has been active in the Black Panther Party and the Black Radical Congress. Thigpenn ran the field campaign for mayoral candidate Antonio Villaraigosa. Mark Ridley-Thomas – member of the Los Angeles County Board of Supervisors. A long time socialist activist. Gloria Romero – a former California State Senator. Obama supporter. Jackie Goldberg – two-term State Assemblywoman representing the 45th District in Los Angeles. Goldberg served on the Los Angeles City Council for two terms, where she authored Los Angeles’ Living Wage Ordinance. Democratic Socialists of America affiliate. Gil Cedillo – a California State Assembly member, representing the 45th district. He resides in Los Angeles. A prominent immigration activist and long time Communist Party USA affiliate. Obama supporter. Tom Hayden – iconic socialist activist. California Democratic Party power broker. Progressives for Obama founder. 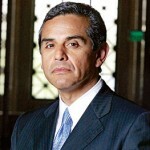 Antonio Villaraigosa – Mayor of Los Angeles. Long time socialist activist. Former Obama Transition Economic Advisory Board member. Democratic Socialists of America affiliate. Paul Rosenstein – former mayor of Santa Monica and a Democratic Socialists of America member. Xavier Becerra – a Democratic member of the United States House of Representatives, representing the 31st district of California. Democratic Socialists of America and Communist Party USA connections. Former member of Obama’s National Latino Advisory Council. Henry Waxman – Democratic member of the United States House of Representatives, representing the 30th district of California. Once endorsed by Democratic Socialists of America. Maxine Waters – Democratic member of the United States House of Representatives, representing the 35th district of California. Democratic Socialists of America and Communist Party USA affiliations. Hows that? The wish list compiled by Tarzynski in 1998 includes the current Mayor and Deputy Mayor of Los Angeles, four local Congressmembers and key players in organized labor, local government, philanthropy, academia, environmentalism and the Democratic Party. Many of those on the list were part of the leftist led citywide coalition which elected Antonio Villaraigosa to the Los Angeles Mayoralty in 2005. Are at least some of them still working together to make LA a permanent power base for the Democratic Party and a bastion of socialism? You bet they are!!! Don’t take our word for it however. Follow the KeyWiki blue links. Check out the documentation. Circulate this article as widely as possible. Contact any Southern California journalists you may know, to ask them to follow up this story. Contribute financially to KeyWiki to keep our database growing. KeyWiki is the premier website dedicated to exposing the covert side of US politics at every level. Our site has enjoyed more than 30,000,000 views, of its 60,000 plus pages. KeyWiki tracks the incestuous networks of the left, so you know who your real enemies are. Help us raise our targeted $250,000 this year, so we can employ researchers and editors to increase and improve KeyWiki content in time for 2014 and 2016.